You might be thinking deeply about cognition and the acquisition of knowledge when you’re creating an eLearning course, but are you considering the emotions of your learners? The human brain needs to feel emotions or it can’t learn. Check out this research. The learning experience has to engage feelings of inspiration before it can be life-changing, and isn’t that what we’re striving for? Your first task is to figure out the one thing that your learners will connect with. Obviously, no one can tell you what that one thing is, but keep in mind that the marketing of the best-loved brands sells a single emotion-- not a bunch of them. You can’t sell “happiness,” because it’s too broad. Appeal instead to a single emotion and sell a specific angle on happiness. Another thing you need to remember: this is about feelings, not features, concepts and raw facts. (Yes, your content is about that, but you need to take expectations, fears, frustrations, and goals into consideration). A mere concept is an aspect of your content, while a feeling is an internal experience. It’s personal! If you do it right, the content of your course can produce the kind of connection that affects feelings, understanding, cognition, and behavior. Emotional content should capture attention. Use headlines and images strategically. Emotional content should maintain that interest. Don’t neglect the copy of your course and its role in keeping the learner engaged. Emotional content should move the learner to take action. Use Calls to Action (CTAs) that are inspiring, powerful, and well-placed. Make sure that the learner knows what they need to do next. 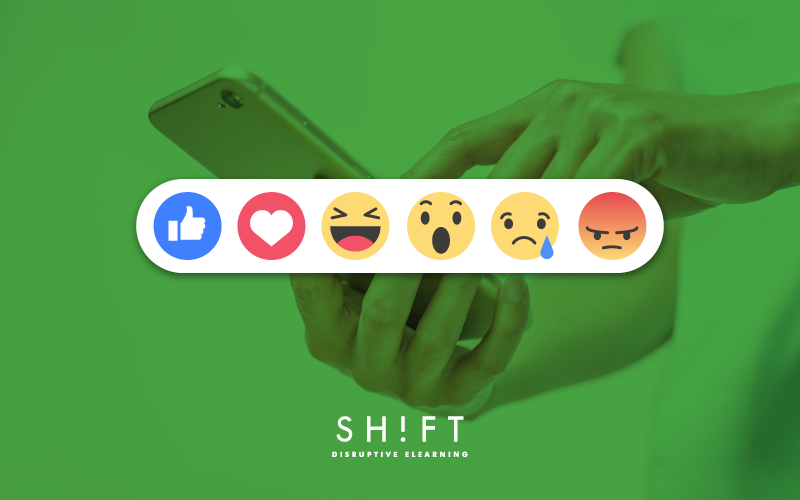 Define the emotion you want to trigger: Find the emotion your learners will feel connected with. Maybe it’s relief from feeling frustrated? Maybe they need a feeling of happiness and well-being in the company? Find the pain point, then use that emotion to craft powerful learning content. You should consider inserting yourself into the role of the audience. As a course participant, what would your expectations be? With this in mind, you will be better able to control the narrative, when you resume your role as the designer of the project. Use the word “you” to make it feel as though you’re having a conversation with them. Describe experiences and sensations, like pleasure and pain. Conduct surveys and polls to discover the personal interests of the people you’re designing a course for. Are they nature-lovers? Gadget geeks? Appeal to their values and what they do outside of work. Inspiration is related to a whole host of other positive feelings like elation, joy, excitement, and hope. Marketing campaigns that inspire are powerful because they tap into a dream, goal, or vision that your audience truly cares about. To achieve this in your eLearning courses, understand how your course helps learners reach their dreams, then translate that discovery into images, colors, and great copy. An idea: Bring in video and get someone trusted and recognized in the company to speak on screen. When making a video, think about the emotions of your images and music as well! Setting up your eLearning course as a story will help keep an audience’s interest with the drama inherent in a narrative. This works even if your content is technical or dense. The Beginning. In this part of the story, the audience learns about and agrees on a baseline reality and focuses in on problems they grapple with in real life. Include concise information that most of your learners agree is true. The Middle. This part, generally longer than the Beginning, shows a contrast between what is true now and what could be in the future. These contrasts hold an audience’s attention when they experience a small dilemma and then learn its resolution. The End. The End leaves the audience with a concrete sense of what the future could hold if they are willing to go along with your CTAs. This is the part where you inject inspiration, wonder, and awe. Of course, use the ending to repeat your main points in a concise conclusion. How are you tapping into emotion in your eLearning courses? Let us know in the comments below!